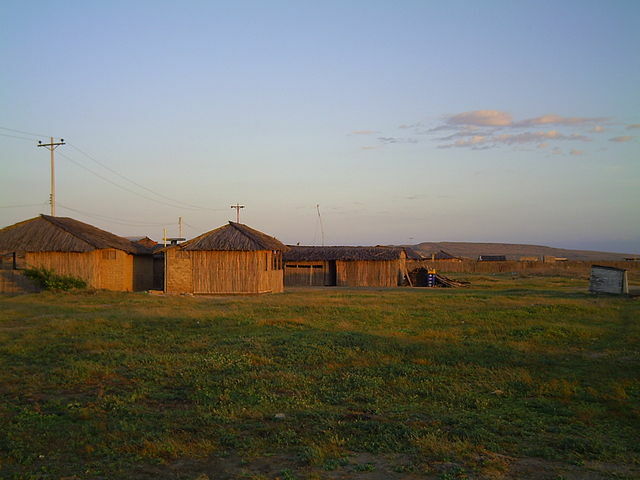 A traditional Wayuu settlement is made up of five or six houses that made up caseríos or rancherías. Each ranchería is named after a plant, animal or geographic place. A territory that contains many rancherias is named after the mother’s last name; that is, society is matrilineal. The Wayuu congregated in rancherias are usually isolated and far from each other to avoid mixing their goat herds. The Wayuu ( pronounced “Wah-YOU”) is a Native American ethnic group of the Guajira Peninsula in northern Colombia and northwest Venezuela. 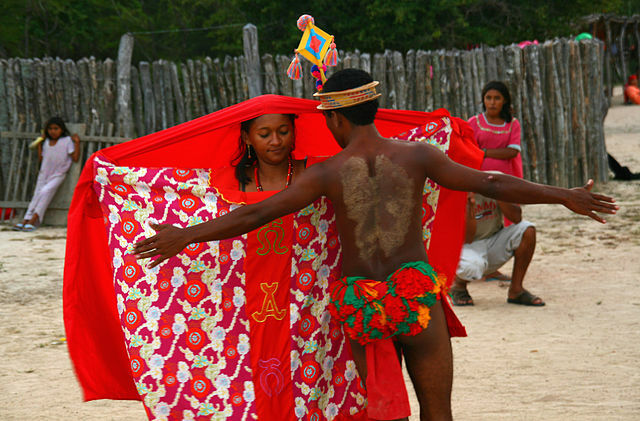 The Wayuu inhabit the arid Guajira Peninsula straddling the Venezuela-Colombia border, on the Caribbean Sea coast. Two major rivers flow through this mostly harsh environment: the Rancheria River in Colombia and the El Limón River in Venezuela representing the main source of water, along with artificial ponds designed to hold rain water during the rain season. The territory has equatorial weather seasons: a rainy season from September to December, which they call Juyapu; a dry season, known by them as Jemial, from December to April; a second rainy season called Iwa from April to May; and a long second dry season from May to September. Our mission is to Support the Wayuu Women’s lifestyle! If you want to join our cause, contact us and we can share more ways you can help. We look forward to hearing from you!